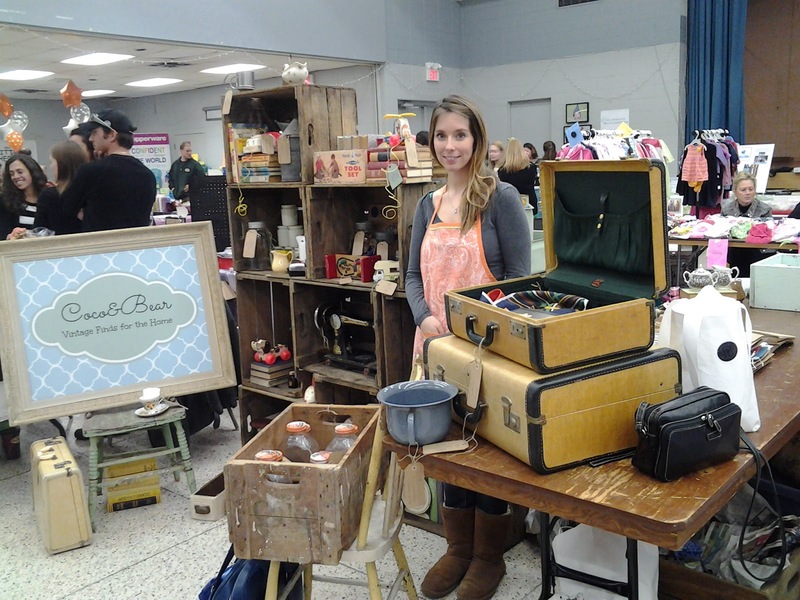 On Saturday I had my first show with my vintage shop. 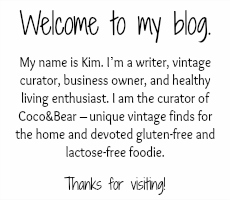 It was a great day – I learned a lot and met some really nice people who shared my loved for vintage. The show was in St Catharines, Ontario - just south of Niagara Falls. My wonderful mother got up with me at the break of dawn and off we headed to the show! (of course after stopping for a much needed Starbucks coffee). We got there a little later than I had planned, so it felt a little rushed getting everything in and set up, but we made it just in time for the a very large crowd to rush in at 9am sharp! I have to admit that I loved my display. I was really proud of how it turned out. I used a beautiful set of vintage creates as my backdrop and just filled them with all of my finds. 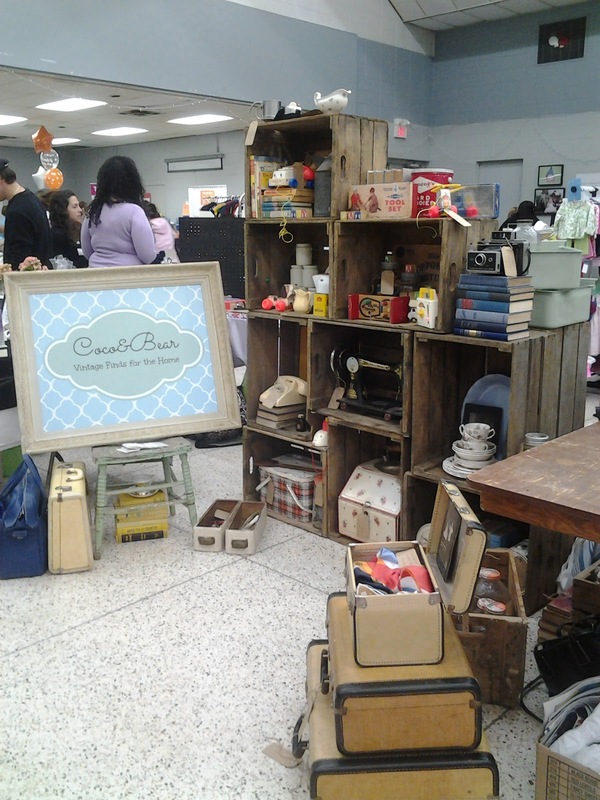 This was really easy to set up and the crates drew a lot of attention - I would definitely use these again! And the crates made it easy to transport my items - I just filled them with stuff and transported them to the show. Last year I purchased a beautiful vintage frame for $3 at an estate sale and my amazing boyfriend went out and printed my sign for me. He placed it in the frame and I simply love it! I have to admit that it was a little too big for the space I had, but I just had to show it off. ﻿﻿﻿﻿﻿﻿﻿﻿﻿﻿﻿﻿﻿﻿The day went by fairly quickly and I had the chance to chat with so many friendly people. I can’t think of anything better than spending my entire day talking about vintage. Before we knew it, the clock struck 2pm and it was time to go. ......... Ugh, time to pack up. 1. I’d rather be overprepared then underprepared. ﻿﻿﻿﻿﻿﻿﻿﻿I definitely spent a bit too much time preparing – BUT I’m really glad that I did. It made setting up and getting ready less stressful because I already knew where everything needed to be placed. I had set up my display in my living room before packing up and took pictures. I even measured the space and taped it off so that I knew exactly how much room I would have on the day. When I arrived at the event, I just opened the photo and set up from there – so easy! Standing in my 'spot' at my beautiful display! 3. Stand up and be friendly. One thing that always drives me crazy when I attend fairs/shows is when the vendors sit behind their booths, text their friends and don’t make any eye contact with you as you pass by. I often don’t want to stop because I don’t feel welcome. Although my legs were killing me after standing on them for 7 hours, I’m glad that I stood right beside my booth for the entire show. This allowed me to greet people and pass out business cards. My advice is – although it might hurt – be present in your display. It makes a difference! 4. Know who you’re selling to. I wish I had thought more about this. I was working with a very small area and wish that I had brought different items to sell. As I was standing there and speaking with some of the visitors, I kept flashing back to some of the items that I had left in my shop and was thinking “oh gosh, this would have been perfect for this customer”. Darn! It pays to think about what people are going to want to buy. 5. Taking down your booth is by far the least enjoyable part of the day. ﻿﻿﻿﻿You’re tired, hungry, thirsty and wish you didn’t have to take down the beautiful booth that you’ve erected only hours earlier. I hope that some of my learnings are helpful to any of you taking on the challenge of doing a show. In the end, I think what is most important is that you smile and have fun! Now… on to the next show! Kim, your display looks amazing! 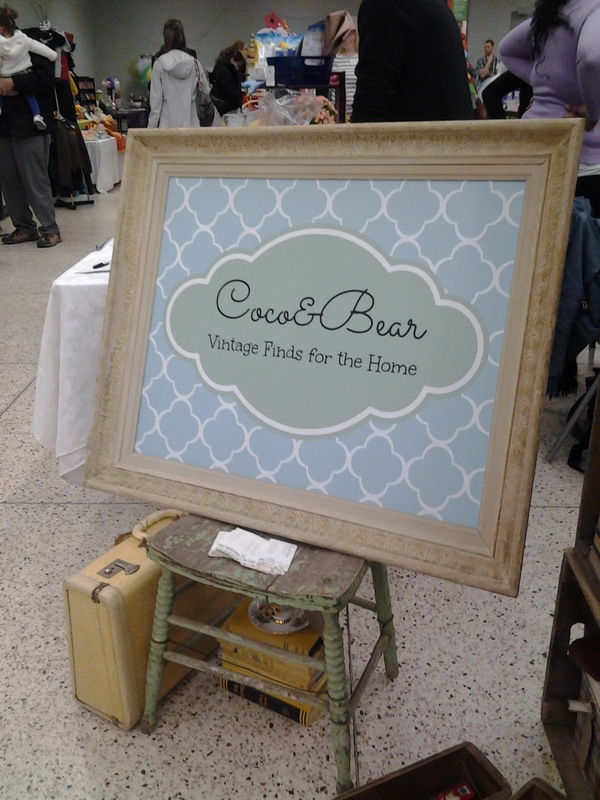 I love the crate idea and your sign :) Just perfect! Thanks for the kind words Lynn! !